You are here: Home > T-Mobile VoLTE reaches ‘nationwide’ status and 700MHz LTE is go! T-Mobile VoLTE reaches ‘nationwide’ status and 700MHz LTE is go! 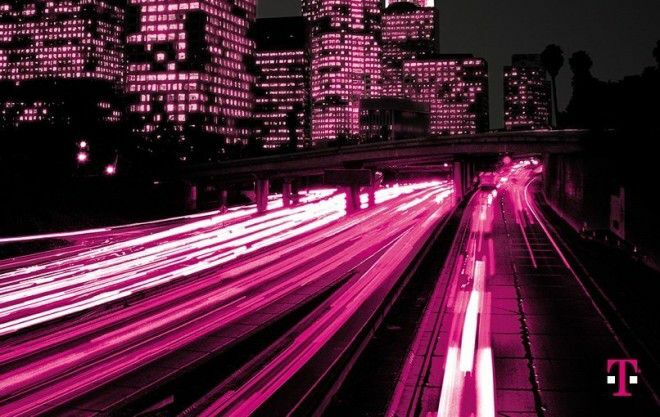 T-Mobile CEO, John Legere, took to a blog post this morning to let us know a few key exciting tidbits of information. First off: VoLTE is now officially nationwide. Secondly: 700MHz is go! T-Mobile’s upgrades and expansions on the network side have been hugely impressive over the past 6 months. It wasn’t long ago the company officially announced the VoLTE service, and now it’s officially reached the required number of people to be classed ‘nationwide’. What’s more, 2.8 million customers have – in the past 2 months – placed over 52 million VoLTE calls. That number is only expected to grow as more devices are made compatible with the service. More excitingly, Legere announced this morning that the 700MHz spectrum acquired from Verizon earlier this year is being put in to action. Sites are being equipped with the low-band spectrum and the company is testing its first band 12 compatible devices. Of course, we already know that the Samsung Galaxy Avant and latest Galaxy Tab are both A-block compatible, and we’re unsure on the Xperia Z3 (which is yet to be announced). But we’re looking forward to seeing how many other devices are built to be compatible. The big question on that subject: Will iPhone 6 have A-block friendly parts, or not? Along with the financial results, these announcements make for very pleasant reading. But there’s more. T-Mobile was also ranked highest for customer service among the top 4 carriers in the U.S. by JD Power. It ranked just higher than AT&T, with Verizon and Sprint finished 3rd and 4th respectively. MetroPCS also finished top in the non-contract providers category. All in all then, it’s been a great quarter for T-Mobile. Lots of good news to digest. As a reminder, the conference call will be streamed on T-Mobile’s investor site this morning at 8:30am Eastern. What article gave you that impression that T-Mobile will take over cellular. I believe he means US Cellular, which T-Mobile has been rumored to buy for a while now. That could happen after the 600mhz spectrum auction. But we first have to see how this Sprint and T-Mobile merger is going to play out. I’d like to see that, just because US Cellular already has LTE over a good chunk of Maine. Any bets on whether the next Nexus phone will have band 12? Nexus phones support the most bands/frequencies of any phone, besides the current gen iPhones. No doubt the next Nexus will support band 12. That’s the one thing I envy about the nexus line and the 5S/iPad air. All those bands make a lot of sense from a production standpoint, but carriers don’t like that. Hopefully that becomes a trend though…. There’s a good chance that the iPhone 6 will come with band 12. AT&T agreed to switch to and use band 12 since band 17 (their current 700 MHz band) is a subset of band 12. This benefits all of the smaller rural carriers since they now get access to more devices that support their band. AT&T does get something out of the deal: Dish had to agree to lower the power at which they were broadcasting. And US Cellular also uses band 12 already and sells the iPhone. keep it up tmobile but its a bummer that nexus 5 doesnt support the volte but its ok.
Too true. I passed on that Sony z ultra gpe for it’s hugeness, and is sadly pass on the N6 if it does come to fruition. Fingers crossed for an N4/N5 2014. If T-Mobile is smart, they will implement carrier agrregation with the 700 band. Does anyone know how much spectrum T-Mobile has of the 700mhz? 5mhz, or 10mhz? Technically, 6+6 MHz. Also, it’ll be much easier to carrier aggregate with the 600 MHz band as it adjoins the lower A block. Oh, that’s kinda weak. But if it’ll help with rural coverage then yayyy! It doesn’t make sense to aggregate this spectrum when it only is being used to improve LTE performance. And yeah they should update our radios with a OTA like they did with the Sidekick LX wen they rollout 3G!! No it doesn’t make sence to aggregate this spectrum when the 600 MHz auction is the next year. And what would that aggregate it with? They only have about 6 MHz of this spectrum. Plus, when a rollout like this is done, the goal is not speed, it is coverage. It doesn’t make sence even if most phone have LTE because the 600 Mhz auction is next year. Could it be the Leap spectrum in Chicago? That seems most likely unless they just purchase a bunch from elsewhere. Chicago is the only top 10 market they don’t have 700 MHz in. I just happen to notice that my Note 3 FINALLY made a call over LTE. While Dallas has had the VoLTE I hasn’t been getting the result until recently. Seriously, Google update my N5 to support what the chipset offers. No news on when other existing devices will be updated to support Volte? I haven’t seen a thing. It may be nationwide, but it’s constrained to a few devices. Shouldn’t the HTC One M8 be getting an update? And since the chips in the latest phones support the 700MHz spectrum (as Neville Ray said), shouldn’t these phones such as the S5 and the M8 get updates to support this spectrum? Nobody knows for sure whether the hardware in the newer phones could do band 12. The radio chip can, sure, but the hardware hooked up to it is the mystery. We have to assume they won’t be updated for band 12 unless we see one pass back through the fcc. I know the Note 3 support it. I think the S4 supports volte. That’s weird. Then how was Samsung conducting volte test on att with GS4? What makes you say AT&T had volte technlogy longer? I thought they introduced it within a day of when T-Mobile did. How is the sound quality on VoLTE compared to standard? I wish I knew. But I do HD calling on hope and it’s amazing. Crystal clear. Can’t wait to test it out. And the G3 as well. There’s no VoLTE support enabled yet on it. And while it supports Band 17, it does not yet support Band 12 (I realize that might not be possible with a software/firmware update). Hope the Note IV will have Band 12. Also I would love to know which cities will first get 700. I know us here (Cincinnati) might have the whole channel 51 issue still….. The said they’d successfully negotiated deals to move TV signals over to different bands in 5 markets. They didn’t say which ones. Thanks for the information Cam. Let’s all hope! What about LA county? Thanks. I wonder how many additional dropped calls people haven been having on VoLTE compared to HSPA and EDGE calls. Glad to see they are back at #1 for customer service. I can attest to the huge improvement. I call a few times a year over several accounts we have and I always get a US rep and they know what they’re talking about. Cost cutting earlier led to horrendous customer support who only wanted to upsell – at least, if they wanted to keep their jobs. What a terrible way to run things. Now things are back to normal. VoLTE has been great on my new Note 3. I don’t use the internet while I’m on a call but the call connects WAY faster which I appreciate. Call quality is great as well. T-Mo is rolling things out amazingly fast. Sprint still doesn’t have LTE in my area – they don’t even have the backhaul for it! Well Tmobile still have away to go,I was in major part of Brooklyn the other day,no data,no calls. I was outside. I couldn’t believe it. I live in NYC,I am in not that part of Brooklyn that much.I was there for my job. I just couldn’t believe it. That had not happen to me in a long time. I live in Brooklyn. The data in my area is horrible (0.5 Mbps down) and has been since 2011. What part of Brooklyn were you in? Staten Island isn’t that much different. The moment you walk into a building on the CSI campus, no service. Why do you still have T Mobile? Have you tried other carriers? Windsor Terrace Bklyn. I just charge my phone. Some time when that happens,I have take out the battery,and sim card put them back,then everything works,didn’t think of doing it that day. It has happened to me, but it’s that dropped data phenomenon where you have to enable airplane mode, then disable to get your data back. Maybe that was it? Lots of T-Mobile folks have been experiencing that. Nexus 5 here. New merger talk, some French provider. Not Sprint, TG! 700mhz is live in D.C. right now. Neville just stated it on the employee webcast. Hi, what the 700 MHz will improve on the network? I am a little bit lost in this matter. Thank you. Keep in mind you would need a phone that supports the new frequency to take advantage of the benefits. There is at least one live 700 MHz LTE cell in the Cleveland, OH market. This screenshot was taken on I-271 outside of Cleveland, OH. I did not go into the city on this trip; I’m guessing I would’ve found more cells. The cell was located at 731.5 MHz. I discovered the cell using an RTL-SDR dongle, with the “LTE-Tracker” software by evrytania. Great news, and exciting to see all this happening so rapidly! A very happy TMo customer indeed. Does this not seem like a staggeringly low number of calls in 2 months? That’s about 18-19 calls per person. In my opinion that’s pretty high as people don’t call much anymore. I would love some of that band 12 coverage in the Chicagoland area. Lots of gaps to fill in! Notice they said 9 of the top 10 metro areas? That’s because Chicago is the one that they don’t own 700MHz in – that was Leap’s. I assume T-Mobile will come up with a few hundred million dollars and buy that at some point. I did indeed notice. I was just expressing my sentiments……. Does this mean the nexus 5 gets VoLTE ? Tweet at them and let them know. T mobile is reinventing the mobile telecommunications, The same way apple did with the iPhone in 2007. So someday they’ll be boring, predictable, and monotonous? If 700 Mhz ended up in my market, I’d be 95% persuaded to get a new phone. Need those lower frequency waves to permeate my workplace! That “unknown partner’ is widely believed to be Motorola now. I can’t wait. A Motorola Nexus will be excellent. Quick Question…… Did anybody in these(VoLTE turned-on) markets have luck with VoLTE on Blackberry Z10 ? The blackberry z10 has not been updated to use voLTE yet which might not come until the phone is updated to 10.3 but who knows when that will be. I just wish i had LTE at my house! I really hope Apple can update their baseband to support Band 12. Radio bands that a phone can support can’t simply be added by an update, it would require a physical hardware change. SDR (software defined radio) – coming soon to a phone near you! If they roll out 700MHz in Denver, I’ll give up my beloved M8 in a heartbeat. Did anyone else notice that Legere said in the conference call that they have agreements to acquire an add’l 8.7M Pops at $.48/Mhz Pop of 700Mhz A Block spectrum? Does anyone know who/where? And yet I am still on 2G. I would think living next to a major highway on the east coast they would have updated the towers by now…. this is the nokia 635 is their any bands missing? Note 3 has an update available for download. The update is 188 MB’s…. I live in Seattle – where T-Mobile is based and consistently have dead zones. My partner has AT&T and has consistently better service than me. I’m skeptical. We are on the same boat. 1) I want to know why we don’t get VoLTE on iPhone 5s? Do you think IOS 8 gonna enable VoLTE on iphone, especially iphone 5 and 5s? 2) do you think iphone 6 gonna come with band 12 or 700mhz capableity? It’s pretty plain and simple nothing today beats T-mobile or the sure power handset wise and network wise of the current Galaxy Note 3 and Galaxy S5. With the Galaxy Note 4 on the horizon which will be a day purchase for me as usual what more can any person want on the best network in the carrier game today. Yeah, that explains why the area of the US that I’m going to be living in for the next few years has absolutely no T-Mobile service whatsoever. Meanwhile Verizon, AT&T, and even to a lesser extent- Sprint, all have service there. Not in my area, t-mobile has the fastest according to several apps like sensory and rootmetrics with the same coverage. So it all depends on where you live and where you travel. It really is as simple as go with the best for you. VoLTE works in Orlando now. Using it now. VOLTE IN MILWAUKEE WISCONSIN!!! Love It!! !